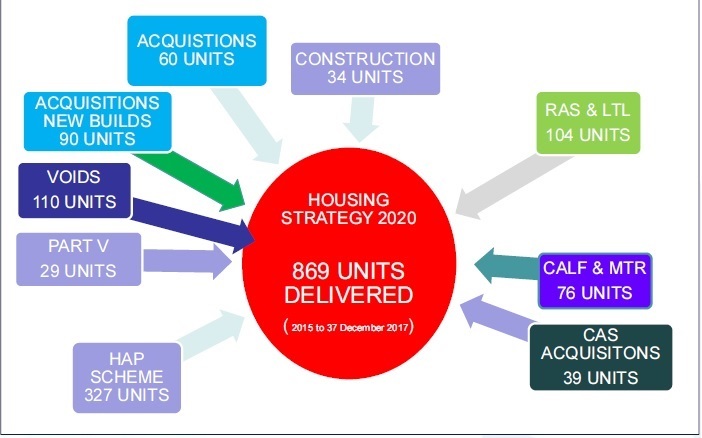 At this afternoon’s Council meeting we got the quarterly briefing and figures for social housing provision (all methods) in Dublin 15 from 2015 up to Dec 2017. Out of a total of 2191 social units provided across Fingal. 225 new units provided since the August update.